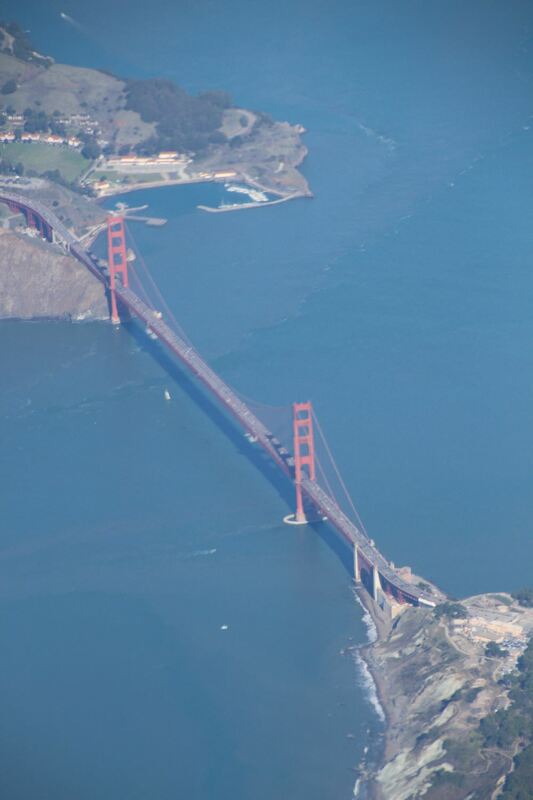 Greetings from aboard our cruise ship Silver Whisper, taking us around the globe in 132 days. 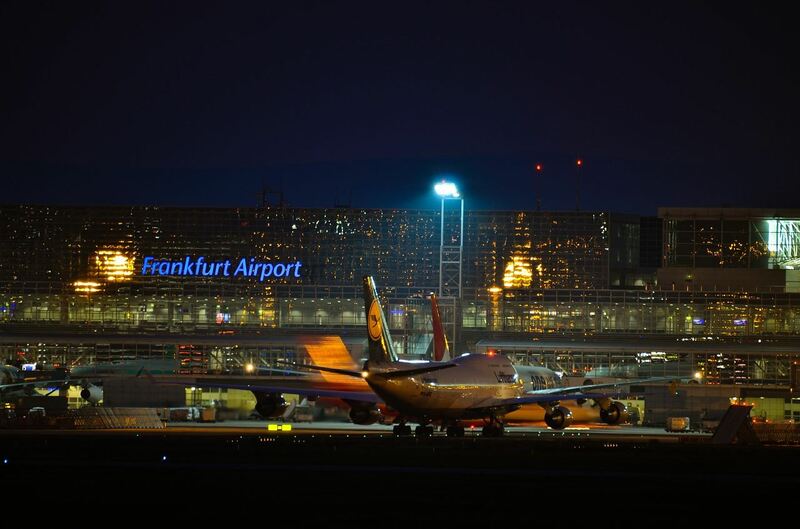 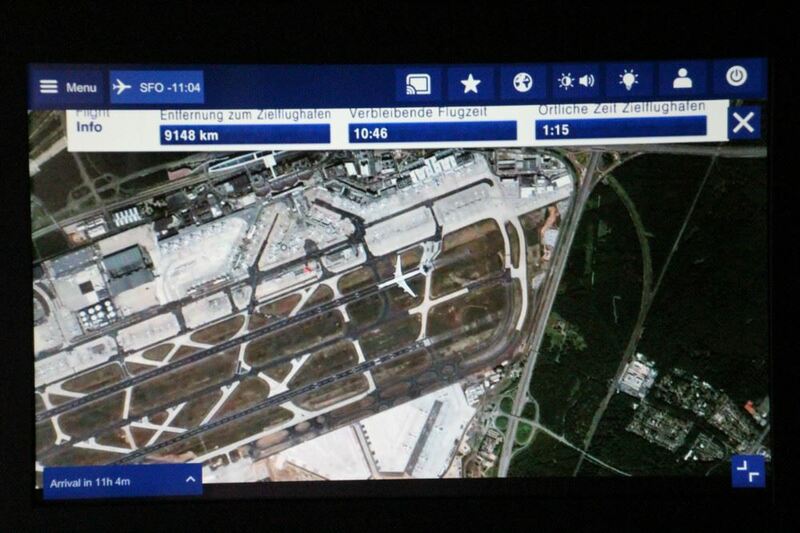 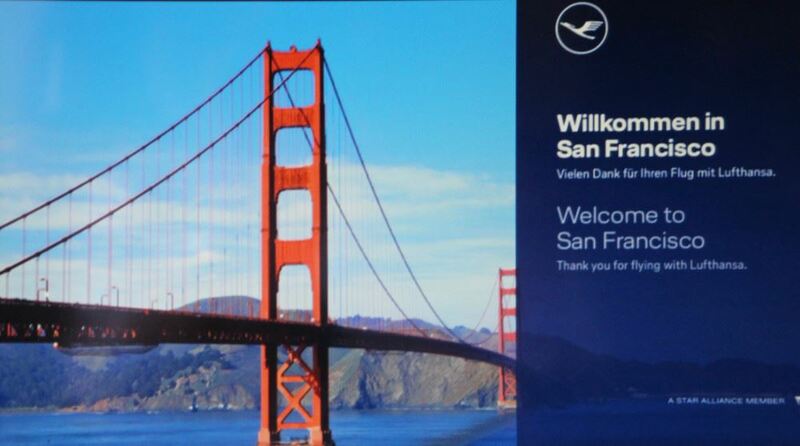 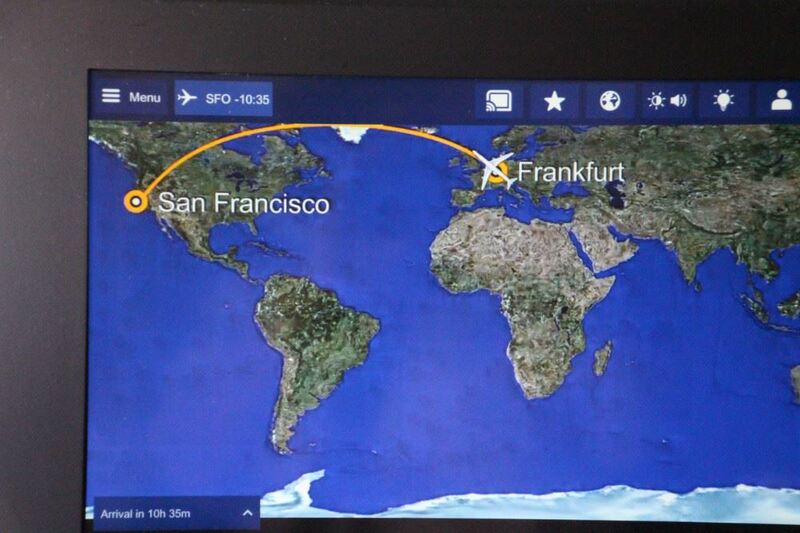 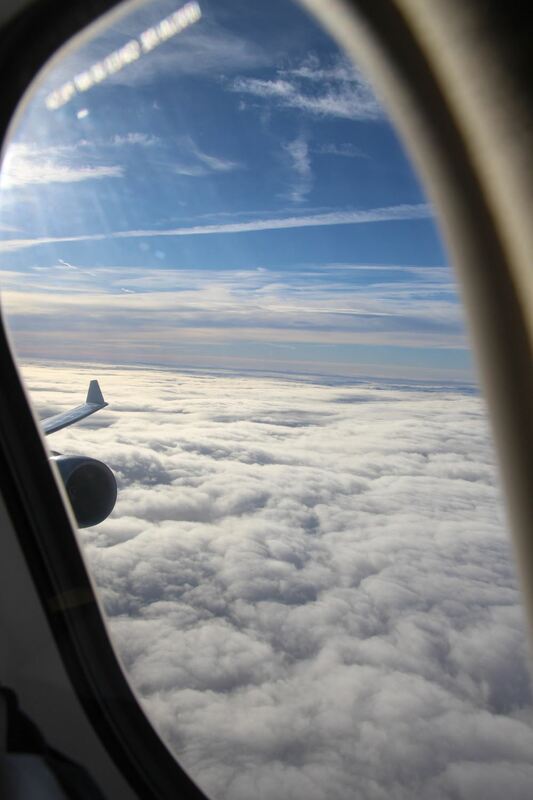 The cruise started on January 6th, however, Michael & I left home already on New Year’s Eve, Dec. 31st, 2018, spent the night at the airport and got on our early morning flight with Lufthansa, flying us all the way from Frankfurt to San Francisco in 11 hours on Jan. 1st, 2019 - what a perfect way to begin the new year! 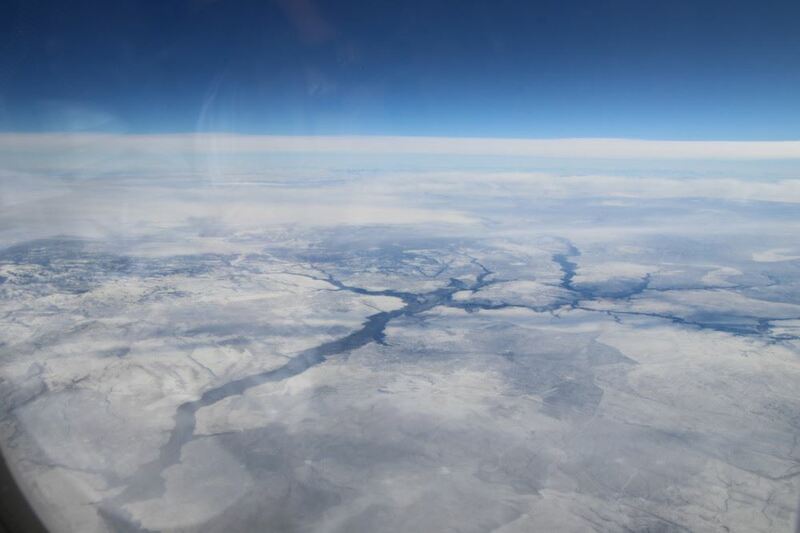 The flight was relaxing and fine, had great weather and fantastic views of the Scottish Highlands with its Lochs, of Greenland with shocking little snow & ice (at this time of the year! 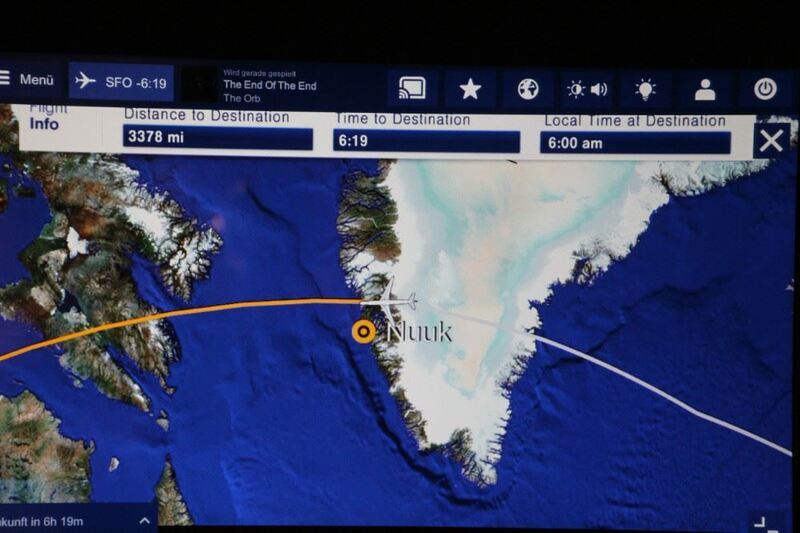 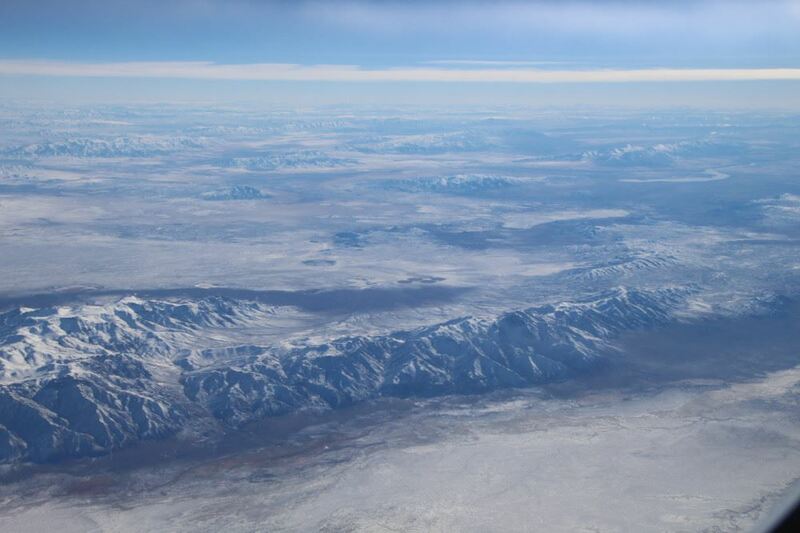 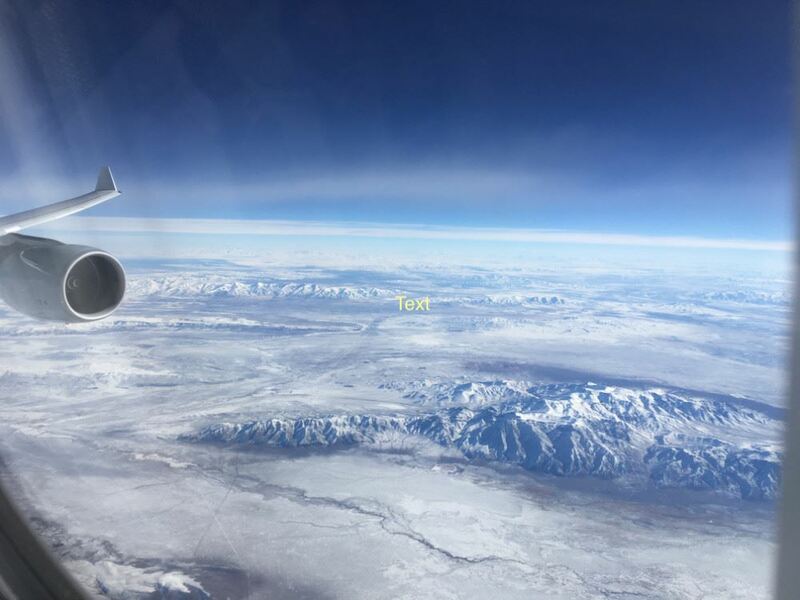 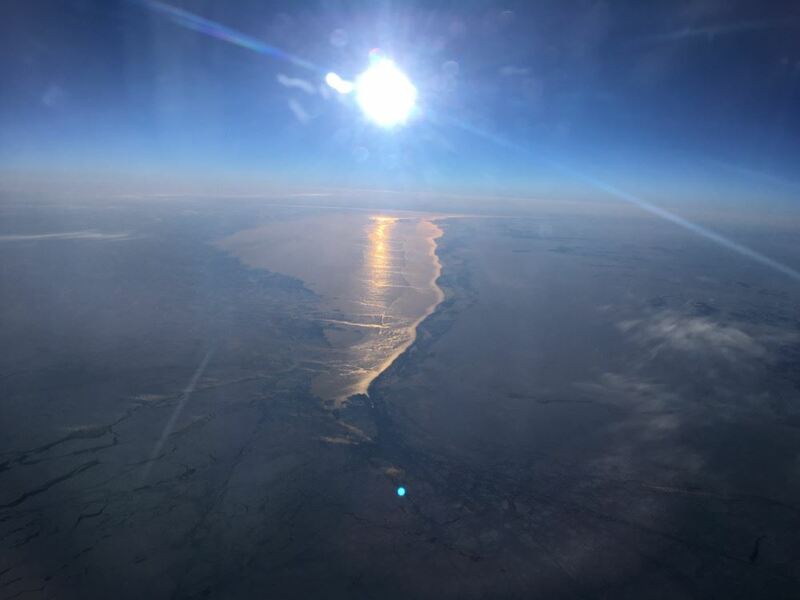 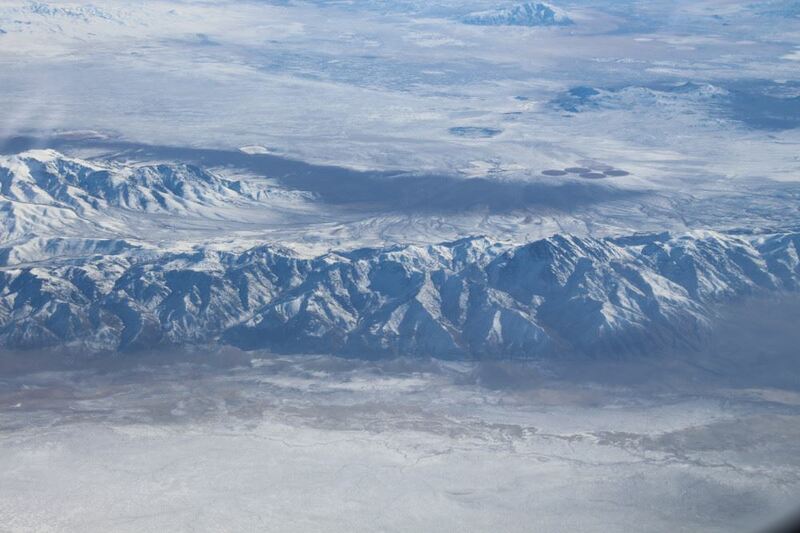 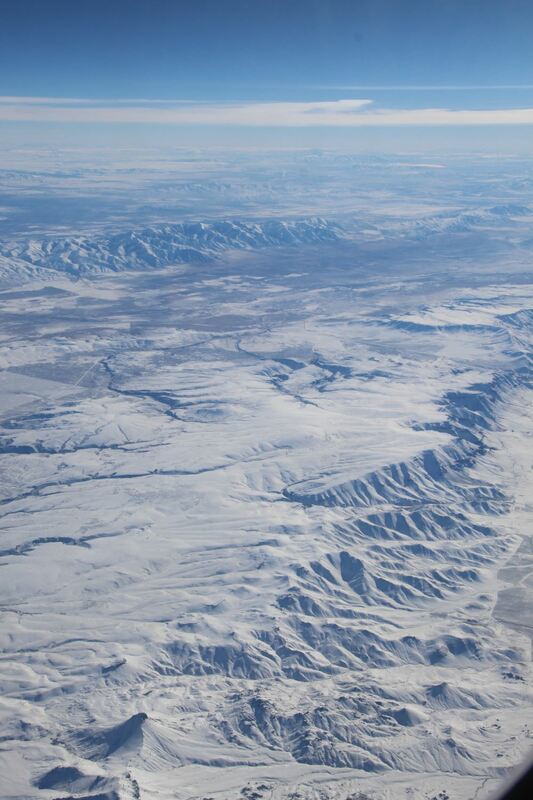 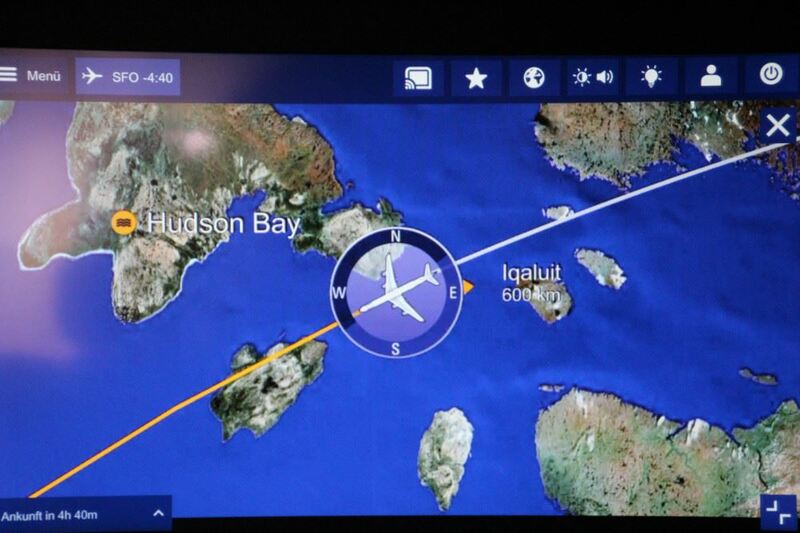 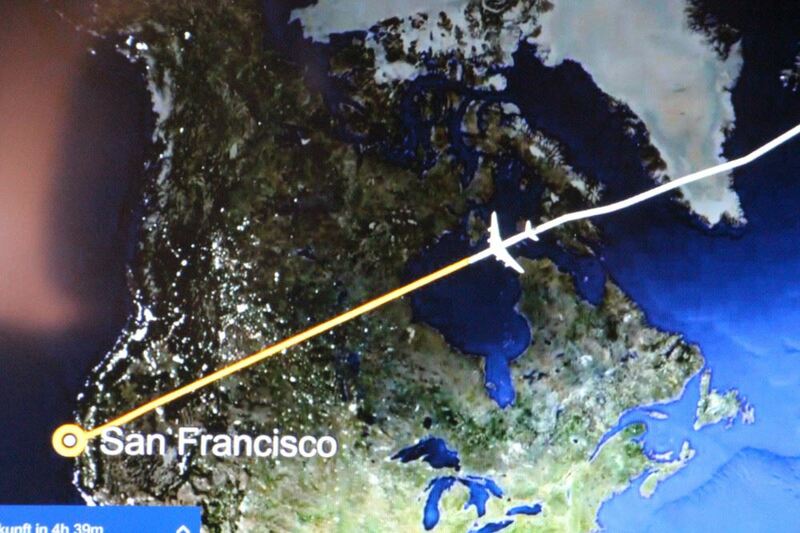 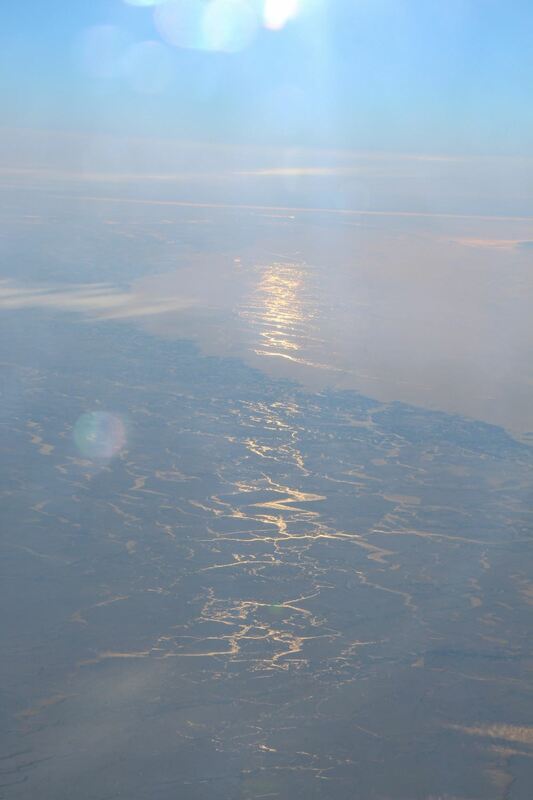 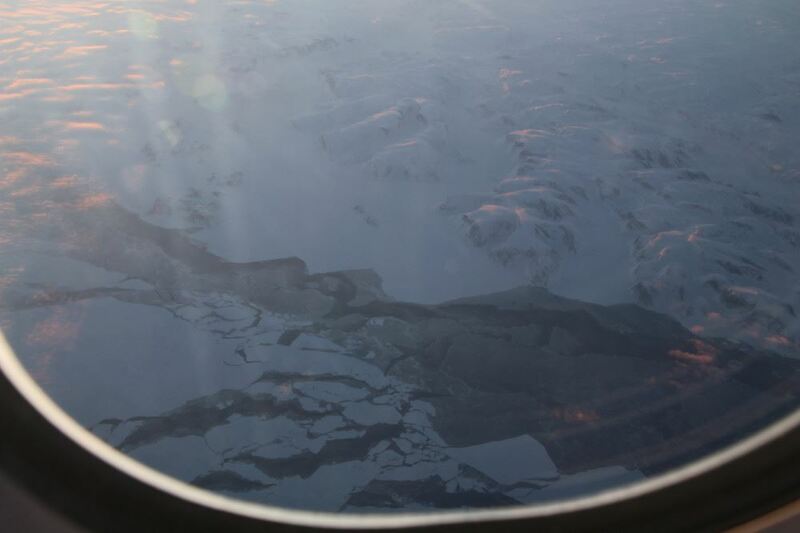 ), a widely unfrozen Hudson Bay and snow in Nevada plains and Rocky Mountains. 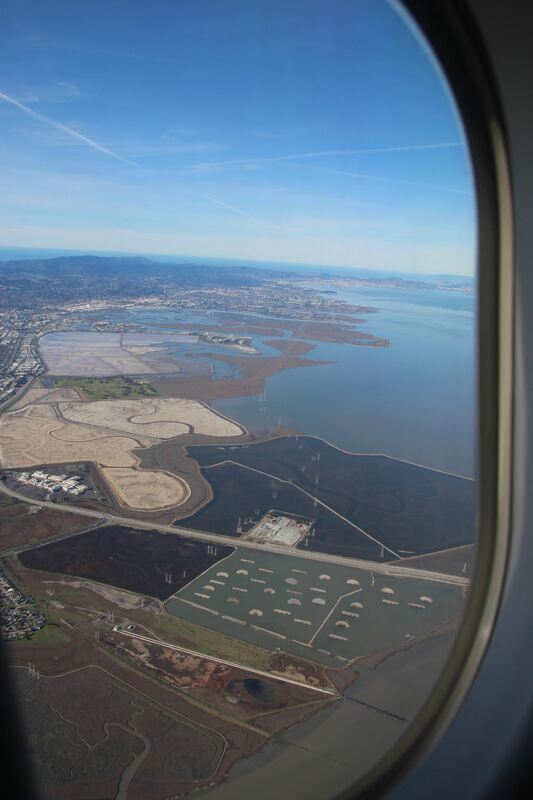 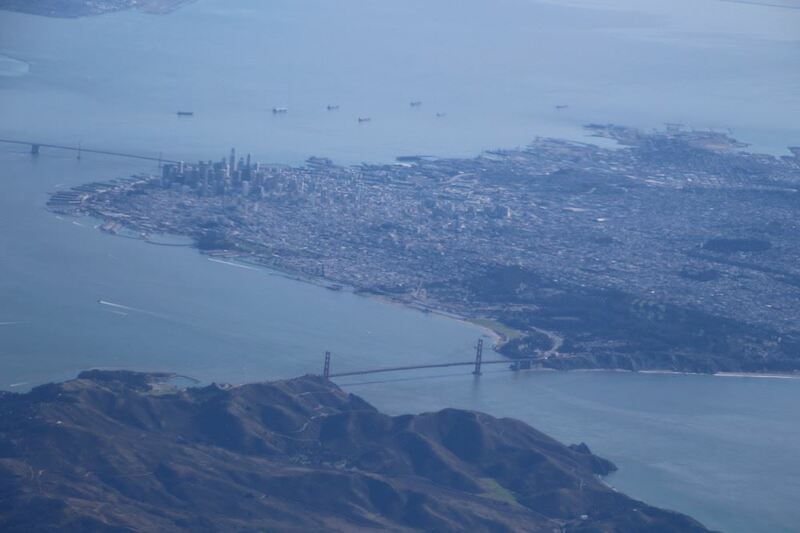 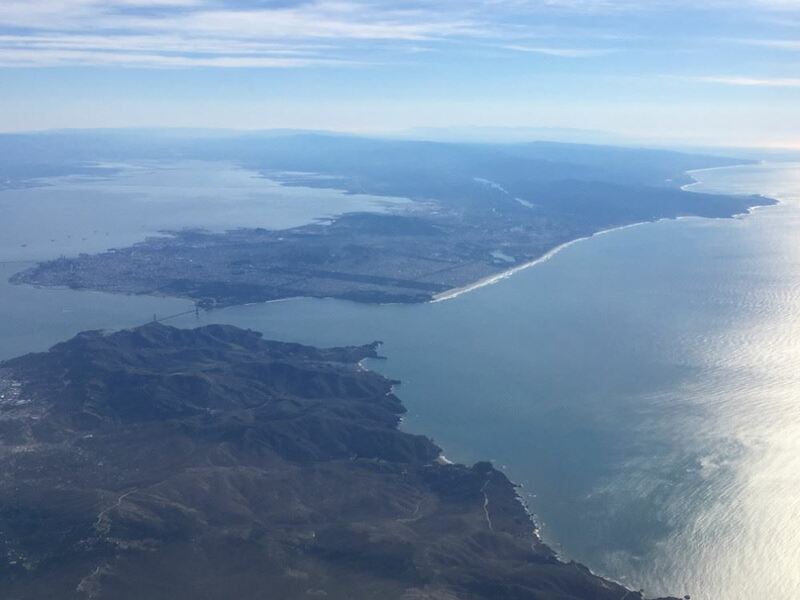 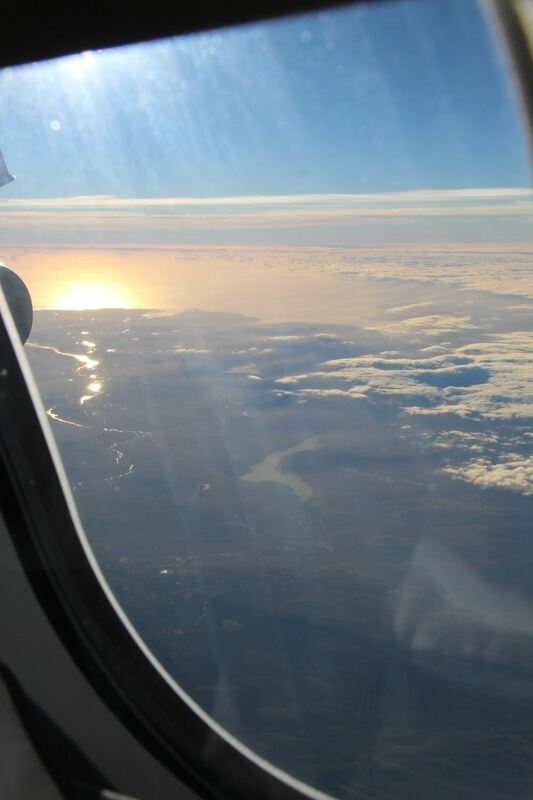 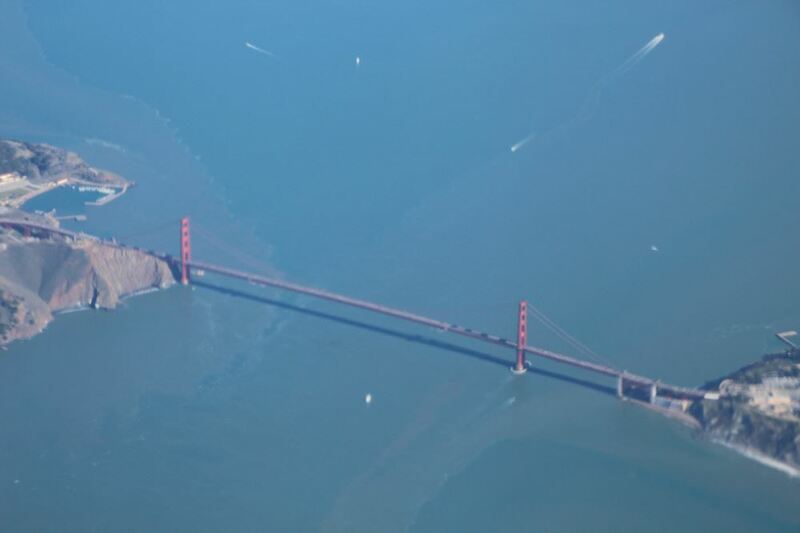 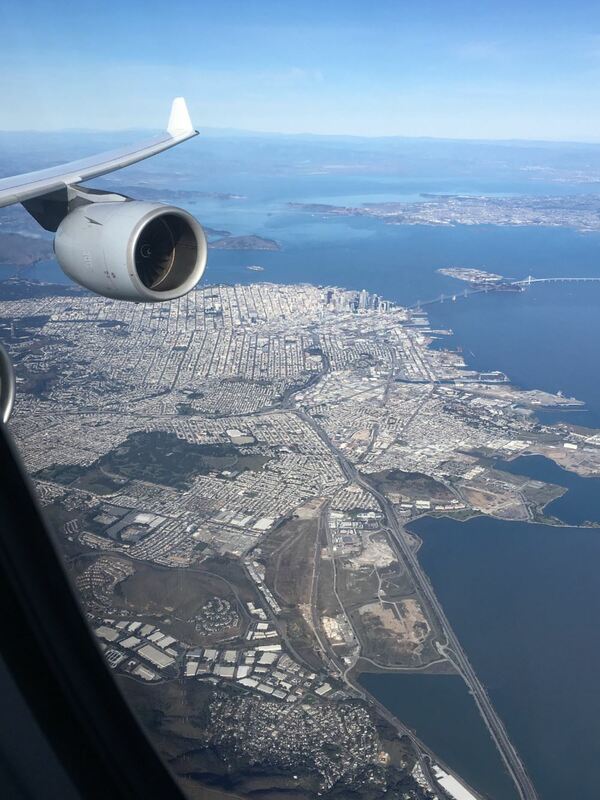 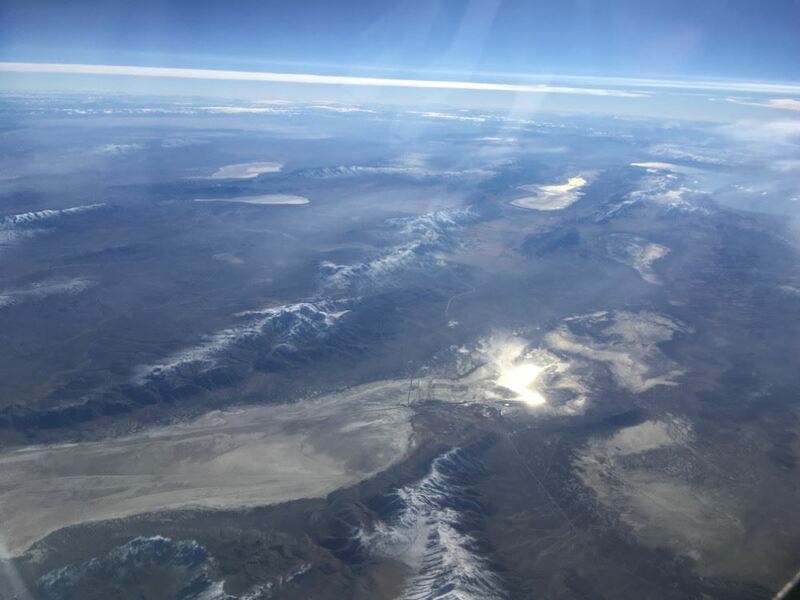 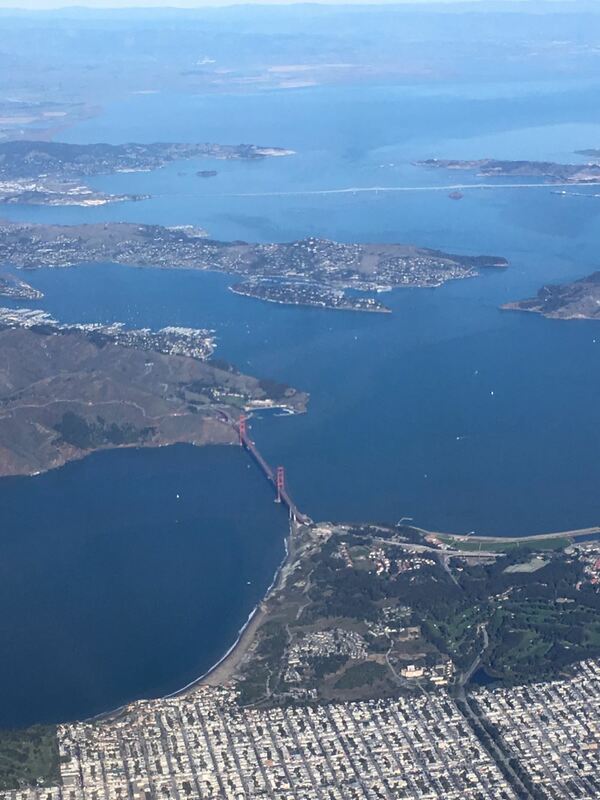 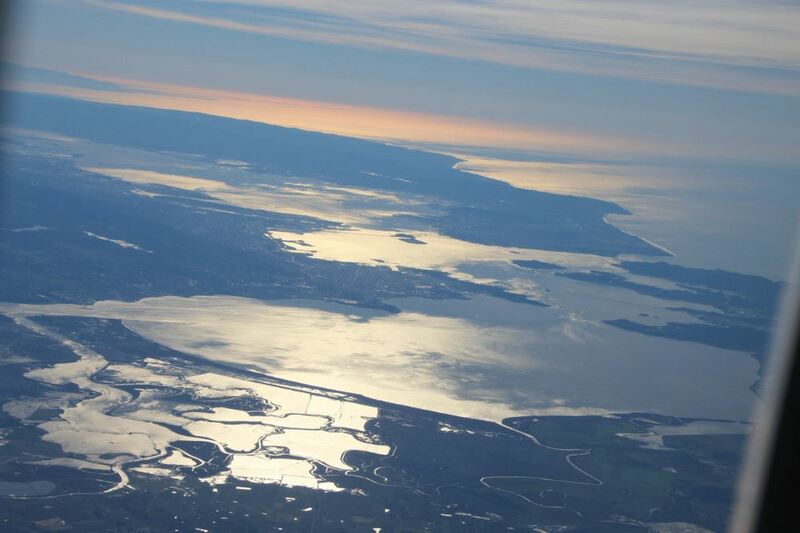 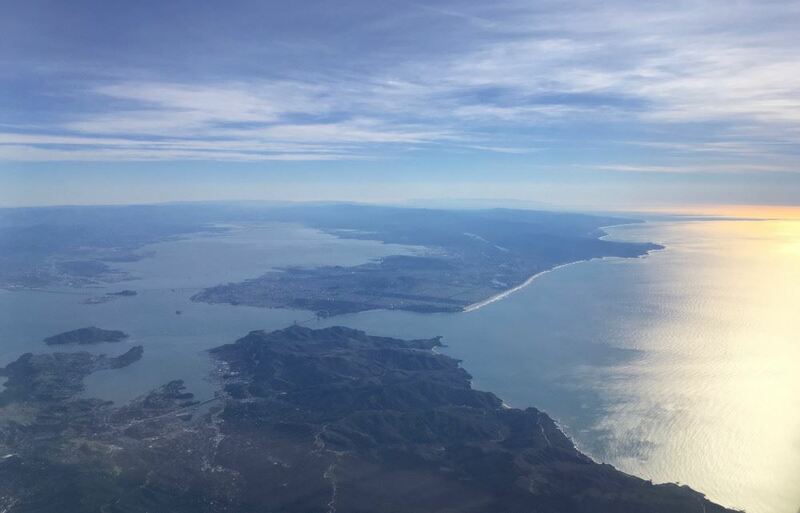 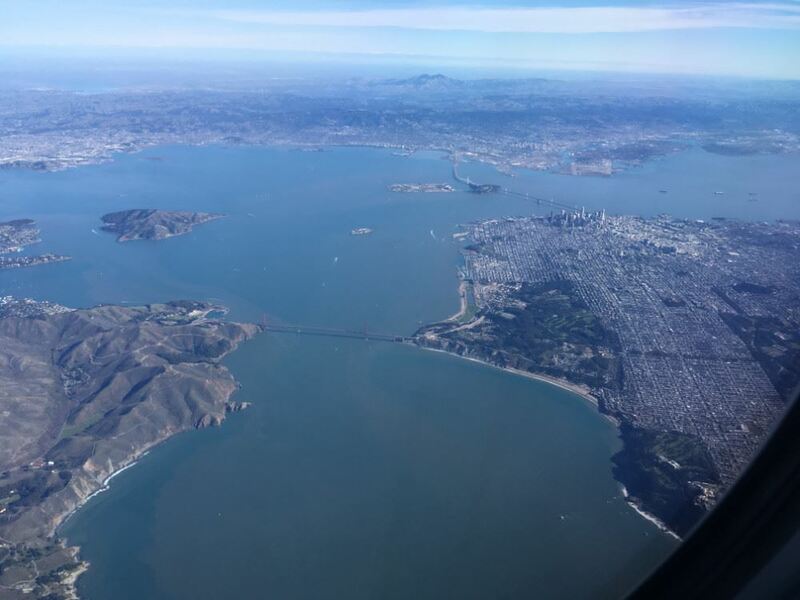 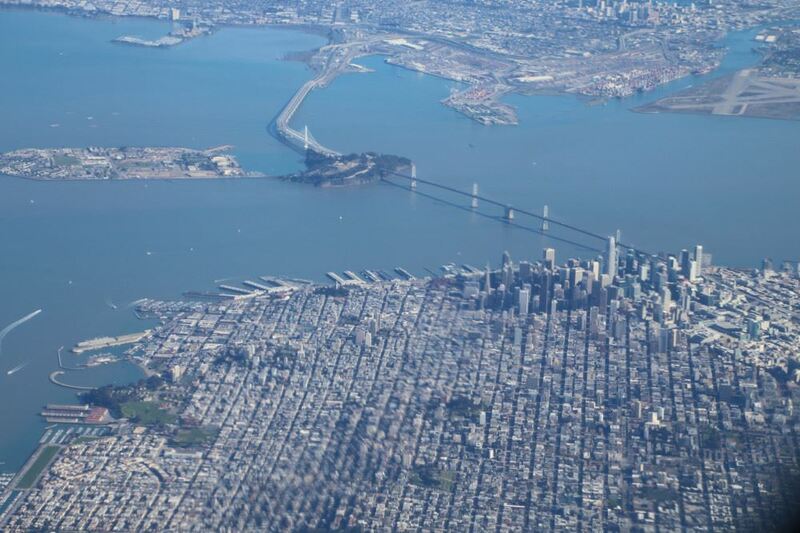 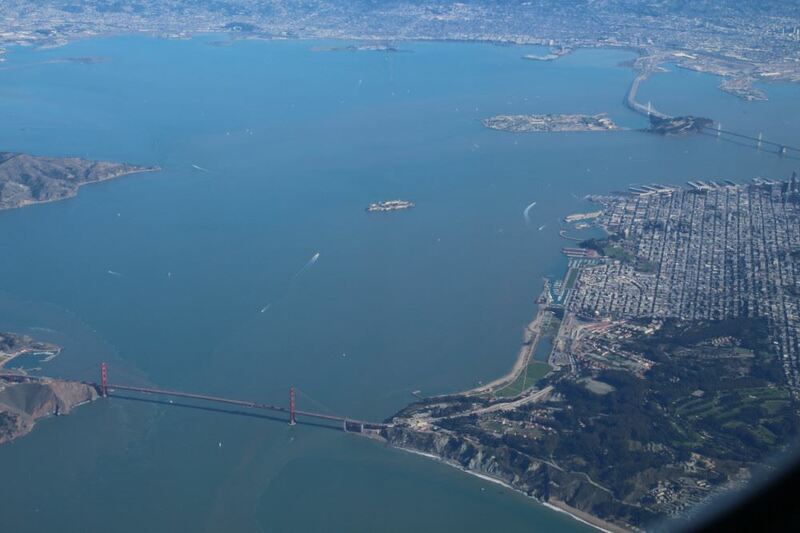 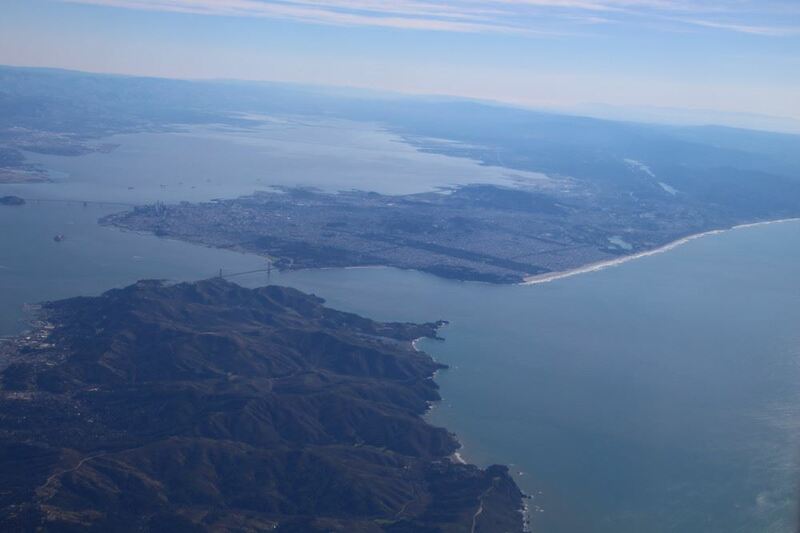 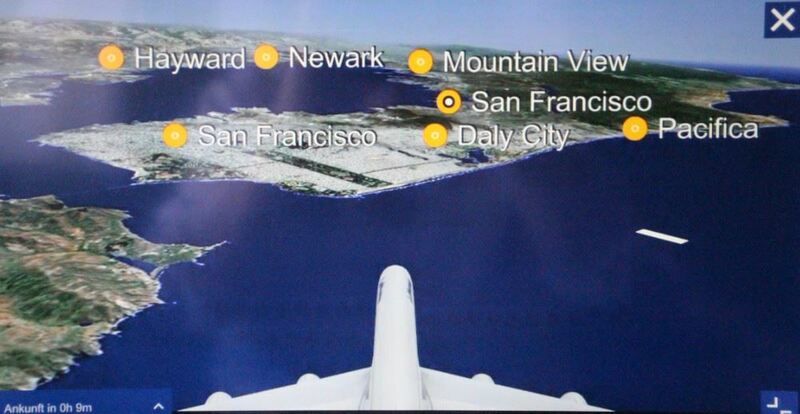 When approaching San Francisco, we were fortunate sitting on the „right“ side of the plane seeing the wide Bay with its Golden Gate as well as the city being surrounded with water from 3 sides.